Alcatel Lucent pioneering smart switches and the 4ESS is a one of the most reliable Class 4 tandem electronic switching systems for long distance deployments available today. The Alcatel Lucent 4ESS switch is designed specifically to manage long-distance call completion time with the power to manage 500,000 calls per hour — that power is the equivalent of 10 electromechanical switches that came before! Boost your network with the speed and reliability it demands with am Alcatel Lucent 4ESS control office switching system from Worldwide Supply. We have all the equipment you’ll need for installation and management, plus we will purchase back similar equipment if your network expands even larger. Our OEM-certified engineers bring every piece of equipment we receive back up to industry standards thanks to our state-of-the-art testing and repair facility. We purchase from carriers like you and then deliver capable, quality refurbished Alcatel Lucent 4ESS systems that will provide years of life. Your network demands strength. Provide that and more with a used Alcatel Lucent 4ESS that’s powerful enough to take call completion time down from 10 seconds to just 1 to 2 seconds. Flexibility and smart routing provide the long-distance support that carriers and networks require in today’s ever-increasing demand. 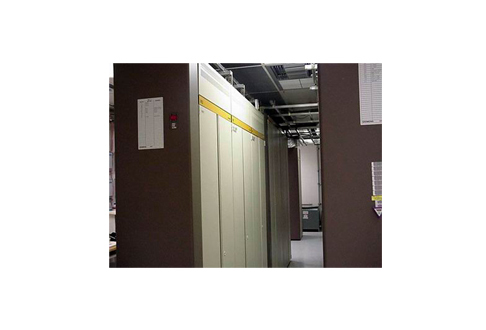 Worldwide Supply offers a variety of refurbished Alcatel Lucent 4ESS central office switching systems, from the complete package to individual parts, power units, spares and supplies. We have what you need at a price that your budget can afford.